As defined by the National Institute of Occupational Safety and Health (NIOSH), good IAQ depends on high levels of well-filtered fresh outside air, a low contaminant load and minimization of particulates and mold spores. The public health, safety and welfare (HSW) are of the utmost importance to all interior designers. As stated by American Society of Interior Designers (ASID) “Indoor air quality is recognized as an important concern in the creation of healthy, high-performance building and is highlighted as a key component of numerous sustainable building programs and procurement guidelines around the world.” One of the most effective, yet simplest ways to do improve IAQ is specifying GREENGUARD certified materials and products. So what exactly contributes to poor indoor air quality? Chemicals used in interior furnishings and building materials such as textiles, countertops, flooring, and wall coverings, are some of the primary sources that pollute the IAQ of your space. Other contributors include poor ventilation, mold and particulates. What are some of the health effects of poor air quality? How can you improve the air in your facility? 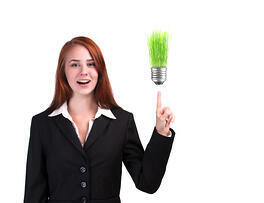 The good news is, most IAQ issues can be prevented and even corrected. This may seem simple however the best way to ensure good IAQ in your facility is source control. Eliminating or reducing the sources of contaminants is one of the most effective, yet effortless ways you can take control of your IAQ. When you choose products that are Greenguard certified, you are selecting products that meet or exceed performance-based standards for low chemical and particle emissions suitable for indoor use and therefore eliminating a potential source for indoor air contaminants. 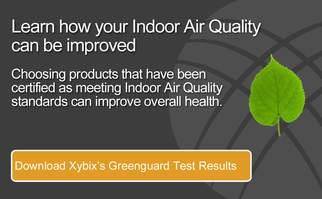 What are the benefits of improving the air quality in your facility? The U.S. Department of Energy estimates improving indoor environments could increase productivity by $30 billion to $170 billion annually through reduced health care costs, reduced sick leave and increased performance. How can you ensure you obtain a Greenguard certified product? One way to ensure you are procuring a Greenguard certified product is to include the requirement for Greenguard certification when composing a Request for Proposal (RFP) or Invitation to Bid (IFB) document. Take it one step further and require the Greenguard certificate of compliance to be included as part of the proposal submittals. Where can you find Greenguard certified products? Checkout the Sustainable Product Guide.